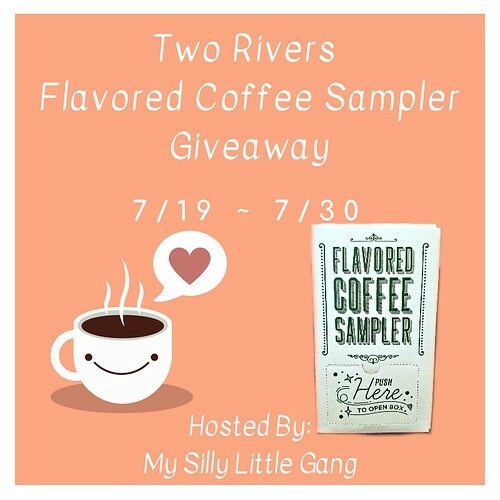 Welcome To The Two Rivers Flavored Coffee Sampler Giveaway! 1 Winner will receive one package of Flavored Coffee Sampler, 40 ct. Single Serve Cups. Entrants must be 18 years old to enter and giveaway is open to US residents only. This giveaway is in no way endorsed, affiliated or associated with Facebook, Twitter or any other Social Media Networking Site. This giveaway is valid only in the United States. Entrants must be 18+ years of age, and residents of the Continental US to enter. This giveaway will end at 11:59 PM (EST) on 07/30/2018. If you or someone in your household has won a tea/coffee prize in the past 90 days you are not eligible to win. If you are a blogger, Honorary Brooklynite, or affiliated with Two Rivers Coffee for any type of reviews, you are not eligible win. Disclaimer: My Silly Little Gang nor any blog promoting this giveaway, is not responsible for the awarding of the prize. Sponsor is responsible for prize fulfillment.